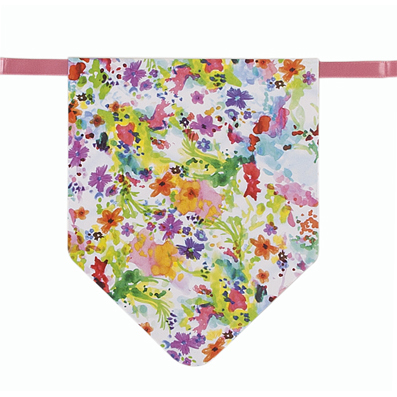 A beautiful floral bunting which looks amazing at a range of events. 5 m long so you can use to cover a larger party area. 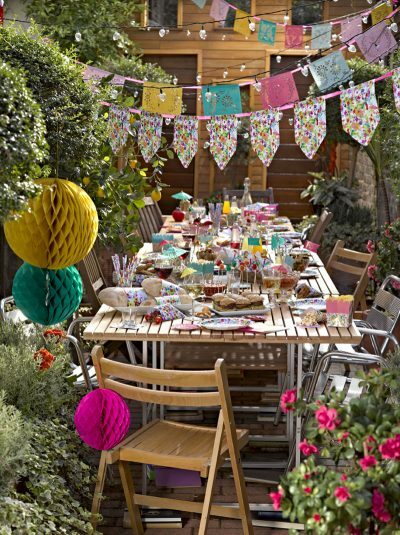 SKU: TT-FST-BUNTING Categories: Floral Fiesta, Bunting Flags, Garden, Mexican Fiesta, Wedding Decorations, ON SALE! 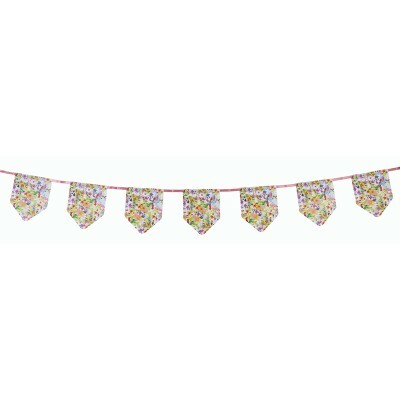 This vibrant Bunting ~ Floral Fiesta is a great decorating option for a fun fiesta but also suits a range of events. This floral bunting is a long 5 m length so you can use to cover a larger party area. Pack size: 5m of paper bunting on pink satin ribbon with 20 floral pennants. This Floral Fiesta range is popular for Mexican parties. Click here for more Mexican party supplies.